Perry plastic, the best plastic cavalry I've painted, and I'm very happy with them, particularly the grey horse, which has been a thorn in my existence. Very nice Truls, especiallythe grey! Super job on them, great work! 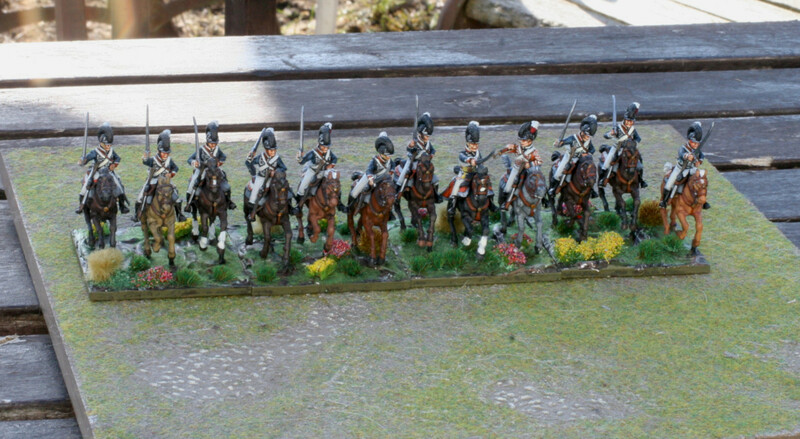 Pretty painted Horsemen...How many "Army-Parts" are now in your Collection? Only my GNW project has anything that is close to completion. Not that I should start to talk about the number of timelines I have my fingers in but at least I have, besides of 500+ ACW Rebels, mainly Saxons . But only 2 finished Armies, GNW and Napoleonic. Still alive the FPW. And now TYW too.